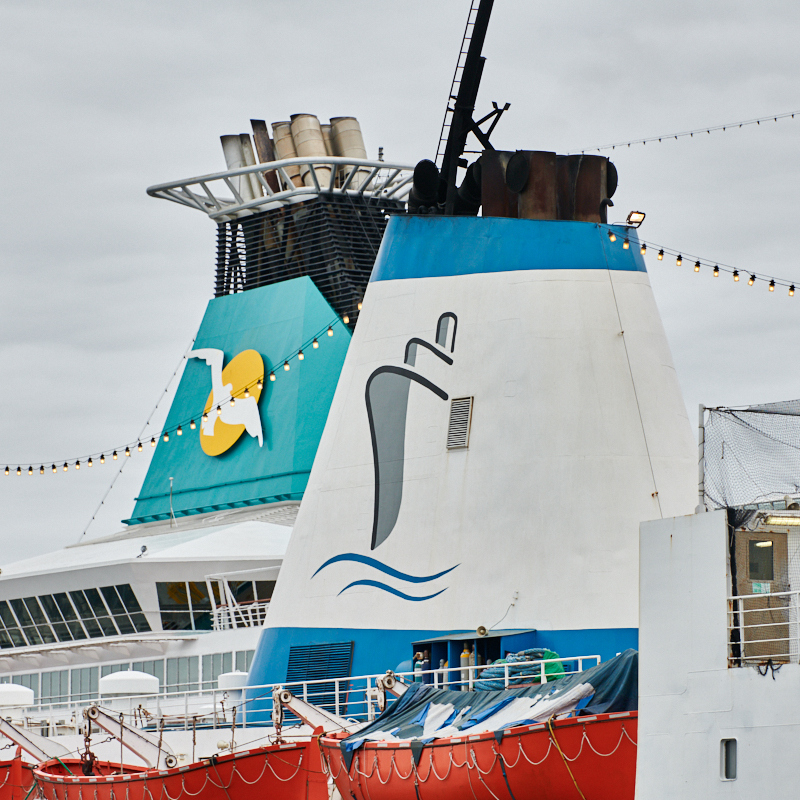 The week before the Ferry Shipping Summit I was in Patagonia, and when our ship arrived in Puntas Arenas I was surprised to see a very old European ferry alongside. 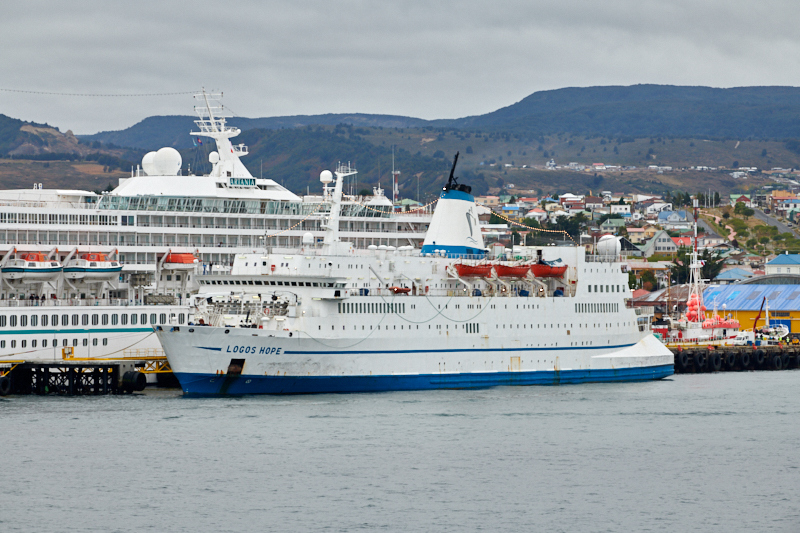 The LOGOS HOPE was built as GUSTAV VASA in 1973 for Halmstad-based Lion Ferry. She has this unmistakeably Nobiskrug Werft look. Many ferries were built in this yard in Rendsburg, Germany. After a career between Germany and Sweden she was sold to Smyril Line, to become the famous NORRÖNA. 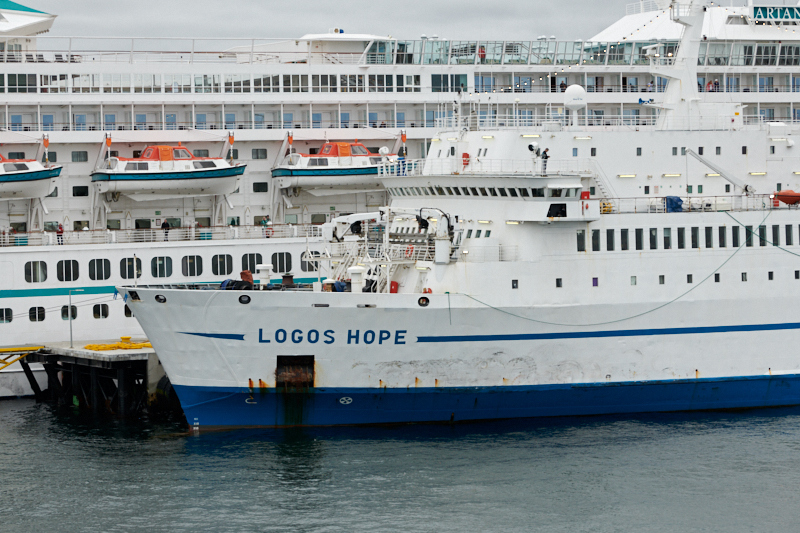 In 2004 she became LOGOS HOPE. 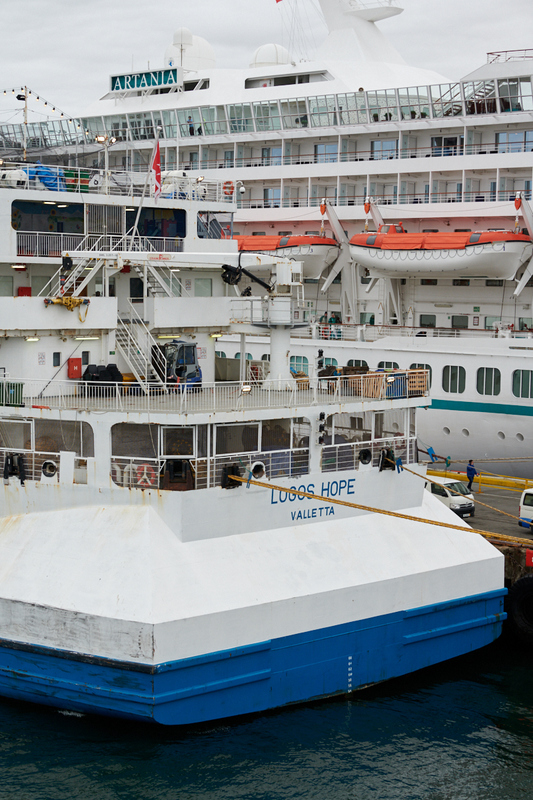 The ship is operated on behalf of OM Ships International by GBA Ships e.V., a private, non-profit, Christian charitable organisation registered in Germany. GBA stands for “Gute Bücher für Alle”, Good Books for All. The old ferry features a mobile bookstore, as a part of international Christian outreach movement.